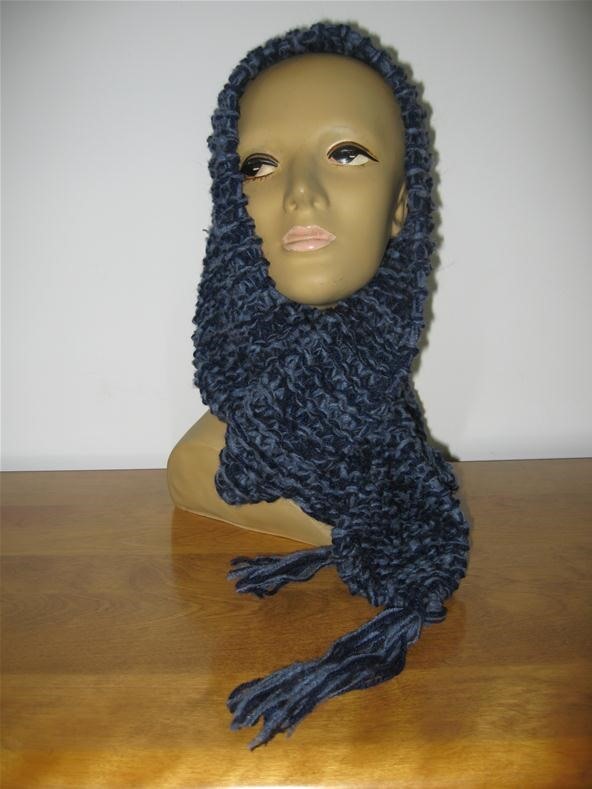 Sometimes you just don't know how many stitches to cast on for a scarf, so here's the perfect solution. Just cast on a few stitches and increase until you have the width that you want for your scarf. I used garter stitch for my scarf so it wouldn't roll on the sides. You will INCREASE and DECREASE every other row and KNIT the rows between. Increase in 1st stitch and last stitch. Increase in 2nd and next to last stitch, end k last stitch. Continue in this manner until you have as many stitches as you want on the needle. Knit all rows till you get to as long as you want the scarf-minus the pointed end. Start decreasing to match the other end. When you have one stitch left on the needle pull the yarn through and cut off tail. Add a tassel if you want. (1) Watch the first part to kitting a pointed edge scarf. (2) Watch the second part to kitting a pointed edge scarf. I really like this method, Judy. I'm gonna use it too!